It is amazing to think that within living memory the work-places pictured here were thriving industries employing many people. There were brickfields at Star Lane, Great Wakering; Cherry Orchard Lane, Stroud Green; Purdy's Farm, Rochford and Ballards Gore, Great Stambridge. All took advantage of the plentiful London clay lying just under the surface to provide the much needed bricks required for the rapid expansion of housing between the World Wars and until 30 or 40 years ago. All are now derelict or redeveloped. Did you, or someone you know, work at any of those sites? Have you got photos or memories you can share with us on this page of the Archive? 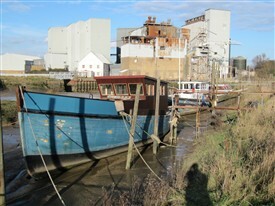 The tide mills at Rawreth and Stambridge were first built hundreds of years ago to take advantage of the fast flowing rivers Crouch and Roach at their tidal and navigable limits. Both were still functioning until relatively recently. Originally built to mill locally grown corn for flour, in later years they produced animal feedstuffs from beans and barley. 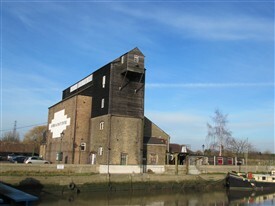 The mill on the southside of the Crouch at Battlesbridge has been demolished but that on the north bank still gives a good idea of how it looked. The Stambridge mill was functioning more recently until a fire made it unviable. Have you, or someone you know, got any photographs of the Rawreth mill? Maybe you have memories of the Thames barges bringing the corn and other produce to be milled at both Stambridge and Rawreth? Maybe you even worked in this industry? See also this article on the site. This page was added by Sue Horncastle on 27/01/2011. 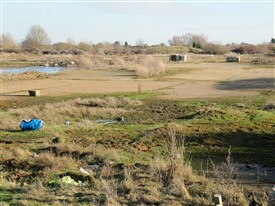 Later, those two ponds shrank to a tiny, muddy pool in the far southwest corner of the site (near where the footpath crosses the railway line). We rescued hundreds of newts (common, smooth and great-crested) just prior to it being filled in for ever and relocated them to other ponds in the area. Nowadays its almost inconceivable that the developers could have proceeded with such reckless disregard for uncommon wildlife. There was also a Brickfields in Hockley (Now Eldon Way Ind Est) behind the Hockley Caravan Park which till the 1970's existed in Spa Road. In the 50's it became two ponds containing sticklebacks, newts and snakes and was a natural playground for us 7-8 year olds. I currently own a locomotive that worked at Cherry Orchard Brickworks and Star Lane Brickworks. After extensive research it has lead me into finding the name of a gentleman going by Eric Killworth. Does anyone know of his current residence or know any way I can get into contact with him?! Just before Christmas 2017 I found a small painted rock left on our doorstep in Ashingdon, painted with the name "Garnet Stanley Montague Baldry". I discovered that the 1st Hawkwell Girls Brigade had been honouring local people by painting rocks. The rocks had then been left for people to find... there's a facebook page "Love on the rocks UK (Painting Rocks ~ finding and hiding)". So Garnet's stone spent Christmas on our mantlepiece, I will re-hide it locally shortly. Born Nov 1884 in Wakering. In 1891 he was age 6 living at 10 Pleasant Row, Wakering with parents and 6 siblings. One of nine children, in the 1901 census, Garnet age 16, one brother age 18 and their mother were living at 3, Rectory Road, Stambridge - both brothers recorded as brickfield labourers. I wonder which brickfield they worked in? In an earlier post, B. Meldon mentioned, "....1954 Hawkwell Brickfields Ltd. gave their address as Rectory Road Rochford..." I seem to recall there also used to be a brickworks in Rectory Aveue, Ashingdon, down the hill on the right? My uncle and aunt (the Caters) lived at Purdeys farm I was born in 1942 and spent a lot of my childhood there. Used to play in the deserted brickworks. The diesel loco from the brickworks at Purdy’s farm survives. It was Ruston Hornsby 217999 of 1942. Today it is on the Leighton Buzzard Narrow Gauge Railway in Bedfordshire and it has the name ‘Gollum’. It got this name because of the sound it makes when it is started up! My father was head foreman at Purdy's farm back in 1940s. its taken me some time to trace this by his paperwork. He had a chance to buy this farm, but did not have the revenue to do so at the time. I have a surveyors map by Canewdon Estates of the fields my dad worked on plus his planting and turn over sheets. Canewdon Estates owned Purdy's farm. The map shows the old clay pits, the hospital and fields etc. I believe the fields were named by my father. My father was also head gardener at The Towers, Heybridge, and worked for Ernest Bentall. All very interesting stuff. Someone asked about where the old hospital was situated - it was in the middle of miller's field. My father worked at Purdy's farm in the 1950s and 60s, I believe he worked in the brickfield first, then on the farm, after the brickworks closed. I remember the narrow gauge railway that used to still be about and all the sheds where the bricks were made. There was still the old diesel loco in one shed. We used to play all over the place, in the old clay pits and sheds. I am glad you found it of interest Emma. I agree it is highly likely that the waste material was dumped on this site as it was derelict for many years. Since I posted the information below the only further information I have found is that in 1954 Hawkwell Brickfields Ltd. gave their address as Rectory Road Rochford and had the phone number of Rochford 56543. As to the WW2 AA gun pit on the site it is possible that this is actually the base of a pug mill and part of the former brickworks? Just such a structure was recorded in Hawkwell in 1970, but its exact location is not known to me, it could well be on this site. It is mentioned in ‘Essex and the Industrial Revolution’ by John Booker (1974) but I have never been able to find out any more information about it. I will go and have a look at this structure later in the year when it is a bit dryer underfoot! The information about Magnolia Brickworks is brilliant. I often walk through there- on many occasions have found 1940s-50s era glass bottles and crockery, and wondered why it was there. It is easily found in the wooded area where badgers have been digging. I wondered if it was perhaps where they had filled in the old clay pits with rubbish? There is also what seems to be an old WW2 AA gun pit in there- although I am no expert! It would be great to see any old photos of the Magnolia Brickworks. Sorry it is a bit late to reply to Len Bickford’s post about the former brickworks at Magnolia Road just off Rectory road (Ed. see post below dated 18/06/2012). The company here was called Hawkwell Brickfields Limited. 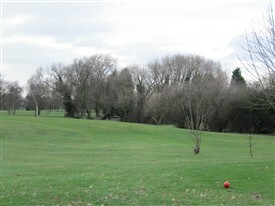 It was first registered on 8th June 1937 with an address of 59 High Street, Grays Essex. There was a 2 foot gauge railway in use on the site. Originally it was hand or possibly horse worked but a second hand 16/20 hp Ruston diesel locomotive was supplied to the company by ME Engineering in 1954. However loco haulage was later dispensed with. Today there is a two foot gauge V skip wagon on a plinth in the park. But this wagon did not originate from the site. The brickworks closed in 1960/61. Procedures to wind up the company were started and liquidator, Hartley Keen & Co. of Southend, was appointed on 23rd November 1962. Liquidators Report was issued to the board on 5th April 1963. Our family lived near the Anne Bolyne at Rochford. My late grandfather and 3 of his brothers all worked at the brickfields at Wakering. Again using the O/S maps the brickworks at Star Lane Great Wakering dates from 1938 or 1939. The last surviving support for the old aerial cableway shown on the map used for transporting the clay in buckets from the deep pits at the back of the works was still in place in use as a lamp post next to the entrance of the brickworks until the site was cleared. The old O/S maps are a good source of historical information. Most areas are available to view on-line at www.old-maps.co.uk. Anyway here are the maps for the Cherry Orchard Lane brickworks that was established on the field at the back of Slough House. I do hope these links work on this website: First the 1874 map showing no brickworks at all and no brickwork cottages. Next the 1897 map again no brickworks and no brickwork cottages. So from these maps the brickworks and the cottages in Cherry Orchard Lane date from between 1897 and 1922. I was recently talking with Eric Mead who as a child lived in the cottages now known as Mayfair cottages in Gore Road. He recalls his father working at the brickworks and often used to go out to play "over the stones". This was a big pile of stones which was the waste from the washing and refining process used when the clay dug from the pits which now form the water hazards on the golf course. There was also an old brickworks situated at the back of the old Magnolia Works in Magnolia Rd. I believe there is now a large housing estate built over it. I used to play there and fish in some of the old workings that were filled with water. I later went on to work at Magnolia's and used to eat my lunch by the side of the water. Sadie, I suggest you look on line at a Census, to see who was living in your house at that time. The Census were held every 10 years from the middle of the 19thC except in wartime. It will also show their occupation. I think the cottages where you live were for the brickfield workers but it is worth checking. hi can anyone tell me anything about brickfield cottages cherry orchard lane and the brickworks behind, i only know the houses were used for the workers, i live in one of the houses and would love to know the history. After talking to Brian Pettitt in the Shepherd and Dog this evening (5/10/2011) he told me about this website. My Grandfather, Walter Page, b. 1884, worked at the Star Lane Brickfield when he left school aged 12, so in 1897. He lived at "The Old Blacksmiths", now known as The Angel pub, at Parsons Corner, North Shoebury. He probably worked there until he joined the Royal Marines in 1914.